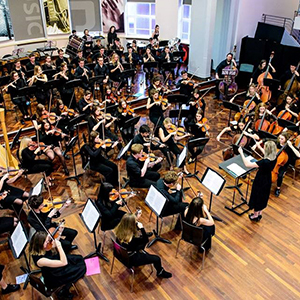 LUUMS Symphony Orchestra, or ‘Symph’ as it is more fondly known, has around 70 auditioned positions up for grabs – including strings, woodwind, brass and percussion. This friendly, sociable and hard-working orchestra is a really great ensemble to get involved with. Having already undertaken ambitious projects, such as Stravinsky’s Firebird and more recently, Rachmaninov’s second symphony, this year’s repertoire will be no less challenging! There is a lot of exciting and varied repertoire planned, ranging from the staples of the classical world, to some of the lesser known works.